Join the St. Aloysius Falcons!!! 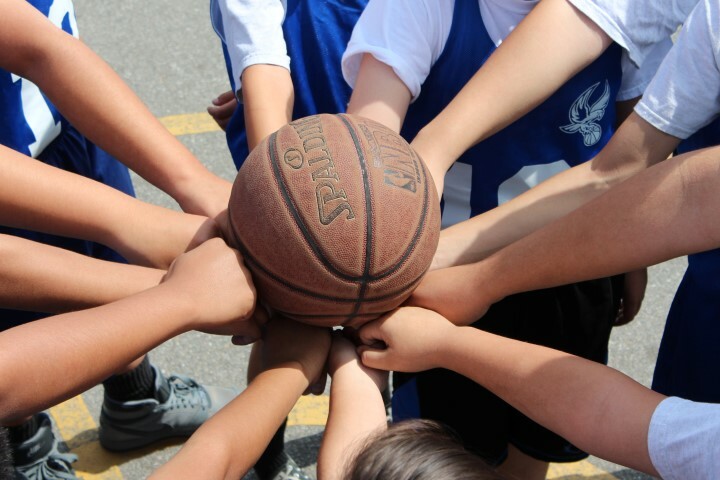 At St. Aloysius we offer year-round sports and athletic activities for both boys and girls. We encourage all of our students to join a team and pursue their personal best in all they do. Our coaches mentor our students in good sportsmanship, athletic techniques, and how to excel at playing team and individual sports. We encourage parents to participate in our coaching program and are happy to see many supporting volunteers in all of our sports events. If you are considering registering your children, or are interested in becoming a parent volunteer for our year-round Sports Program, please contact the school office. Basketball, Flag Football, Soccer, Track & Field and Volleyball are currently available to students from 4th to 8th Grade.